Kyouhukou is an Area Guardian of the Black Capsule on the 2nd Floor of the Great Tomb of Nazarick. 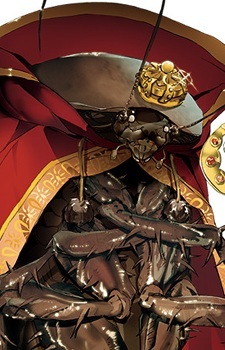 Kyouhukou's appearance is that of a 30 cm tall cockroach standing on its two legs and with its head facing forward. He wears a bright red cape decorated with luxurious golden threads around the edge and a tiny golden crown on top of his head. He possesses a scepter with a pure white gem embedded at the end, which he is often seen holding with his front leg.